The booking process consists of three steps - Consultation, Proposal, and Signing. Your consult can be in person (at a trendy Austin coffee shop) or over the phone, however I would love to buy you coffee. We will chat about you, your fiancé, your vision for the big day, all of the arrangements you will want, and your budget. After that, I will create a custom proposal for you including a broken down spreadsheet of all of the arrangements and pricing, and a board of inspiring images. Moving forward from here is easy. A deposit is due at the contract signing, and from there, it's all smooth sailing. A healthy expectation would be to spend about 12-15% of your wedding budget on flowers. Not all weddings are the same though, so I will always try my best to work with your budget to provide the best product. 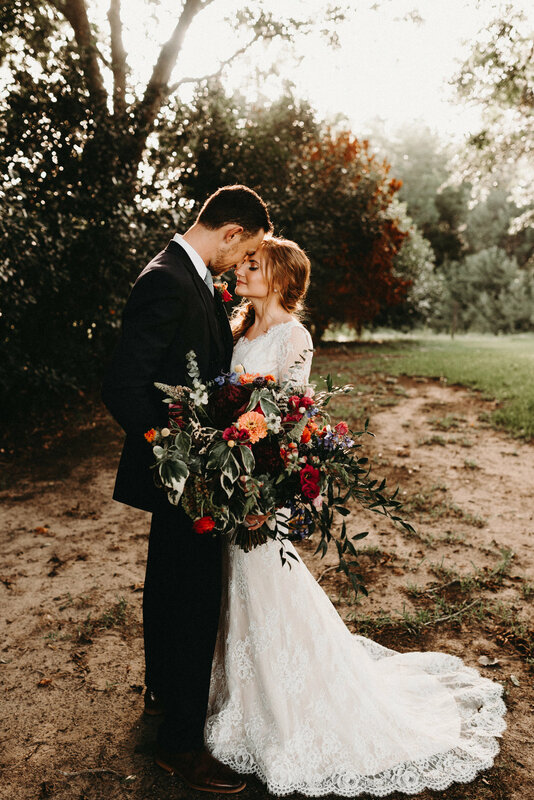 Everyone deserves gorgeous flowers on their big day. I only book one wedding per day so that I can put all of my focus on you. Because of the limited booking possibilities this creates, a minimum investment of $3,000 is required. It's always good to be prepared, but you don't want to go overboard. 6-8 months is a good window.